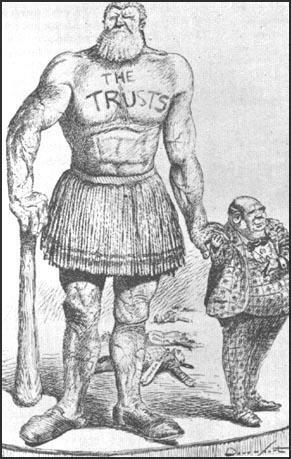 With the support of President Benjamin Harrison, Congress passed the Sherman Anti-Trust Act in 1890. John Sherman, a lawyer and senator from Ohio, was the author of the legislation that attempted to curb the growth of monopolies. The act declared illegal any business combination that sought to restrain trade or commerce. Penalties for violation of the act included a $5,000 fine or/and a year's imprisonment. The act was unable to achieve its original objectives. The two main reasons for this was the vague wording of the legislation and the absence of a strong independent commission for its enforcement. In 1894, the attorney-general, Richard Olney, used the the Sherman Anti-Trust Act against the American Railway Union during the Pullman Strike. As a result, Eugene Debs, the president of the union, was imprisoned for contempt of court. In 1914 Henry De Lamar Clayton, a lawyer from Alabama, drafted what became known as the Clayton Anti-Trust Act. 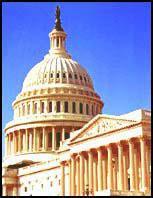 The act strengthened the power of government in dealing with monopolies. It forbade agreements between companies to fix or control prices for the purpose of lessening competition. It also prohibited individuals from serving as directors of competing corporations.